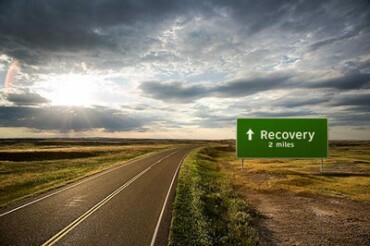 “Road to Recovery” is a phrase that is often used to describe the process of taking a bad situation and returning to some level of normal. It can refer to a health situation or something as big as Detroit trying to recover from bankruptcy. For Art’s kidney transplant we are beginning to see what the recovery will look like although the exact road we will travel is not totally clear. We look back on our time in Alabama last winter when we both made a commitment to get into shape - and proceeded to work out nearly every day with weight lifting, water aerobics and/or racquetball. Art believes if he had not worked out then, the impact of the transplant on his general health now would be much worse than it has been. Since the end of May he has not had the energy to do much of anything. The road is beginning to come into focus at least for the short term. Art’s issues with the transplant are beginning to be resolved. The 12 inch incision has started to heal. There is still a fair amount of pain but he is beginning to manage the pain with just Tylenol and not the big pain pills. The central line catheter used for dialysis will be taken out this Friday and for the first time in 5 months….there will be no artificial tube or anything else connected to his body. He will soon be able to take a shower again! The biggest shock to Art is when he looks in the mirror. He has lost over 60 lbs and there is no fat at all on his body. 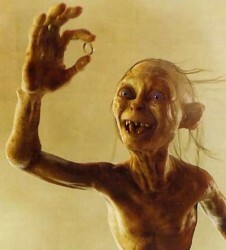 The muscle mass has also been severely depleted and he is complaining that he looks like Gollum from the Lord of the Rings. When you are past 60 and lose a lot of weight the skin simply doesn’t tighten up and tends to just hang there. Trying to look on the bright side he has an opportunity to replace his body mass in a sensible and healthy manner. It is like having a clean slate to work on. Most people usually have to lose a large amount of weight and also build muscle. Art only has to build muscle. He has stated that one of his goals would be to run a 5K with our daughter sometime in July of 2014 so he is already thinking of setting goals on this recovery effort. The new kidney is working great and the doctors are only making small adjustments in his medicine each week so we are thankful that it appears the worst is over. However there is a small stint that was inserted in the tube that connects the kidney to the bladder during the operation that will have to be removed in a couple of weeks from now. He doesn’t want to think about that right now. It’s not exactly clear what the road will look like a couple of years down the road but for the short-term it is coming into focus.